ZED-12FX features a responsive 3-band, swept mid frequency EQ design which utilises MusiQ ƒ•• with optimised slope (or Q factor) for equalising individual instruments. ZED-12FX has an essential selection of 16 time-delay effects, designed for small groups who dont want to carry around an effects unit with their gear but who still want great quality FX at their gigs and on their recordings. Our DSP engineers worked hard, crafting and refining beautiful reverb algorithms to enhance every performance. These effects are available nowhere else at this price point - this quality and integration is only available from the ZED-FX. ZED effects are easily controlled using 3 buttons with 9 display LEDs. For example, the ideal delay time can be quickly tapped-in, or the perfect amount of reverb on the lead vocal can be dialled-in. There is one-stop navigation and editing ƒ•• in fact, itƒ••s just as easy as using effects pedals. To alter effects parameters, the TAP button is held down and the up/down buttons pressed to adjust the specific parameter for that effect, for example, the decay length on PLATE, or the depth on CHORUS. 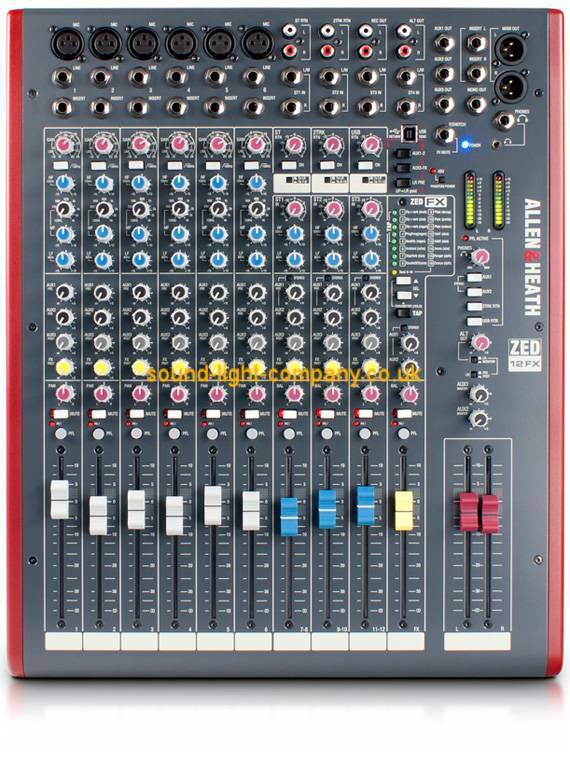 Weve included Cakewalk SONAR LE with this ZED mixer so you can start recording your own music today with the most complete introductory music production software for Windows PC. Based on Cakewalks award-winning SONAR X3 digital audio workstation, SONAR LE has been enhanced with cutting-edge instruments, effects, and creative tools to make creating your own music as simple and intuitive as possible, no matter what your experience level.